Gary Neville has had his say on the age-old Cristiano Ronaldo vs Lionel Messi debate. The La Liga duo are undoubtedly the best players in the sport at the moment, but there is often a debate among fans as to who is better. The 32-year-old Real Madrid man, who was once a student at Old Trafford, displayed great form in the Champions League against Bayern Munich, scoring five goals over the two-legged tie against the German giants. And according to Gary Neville, the new position that Zinedine Zidane has been playing Ronaldo in might allow the Portuguese to play at this level for years to come. The Englishman also claimed that his might allow Ronaldo to score more goals than Messi – something that has not happened this season. 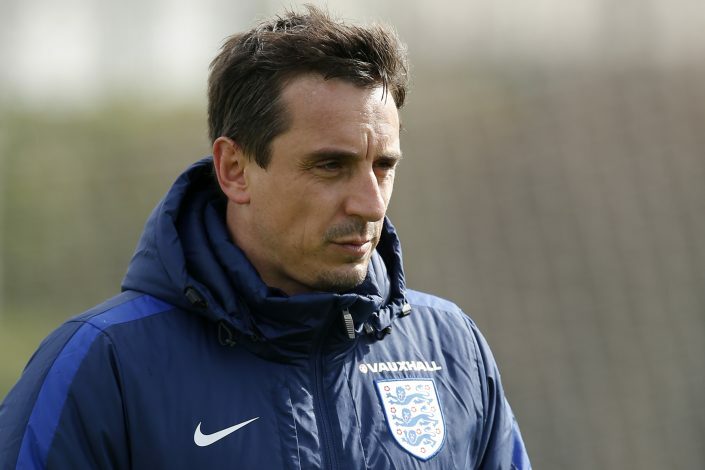 In a column for the Sky Sports, Neville stated: “I wonder if he’s building up for a long career as a centre-forward, where his running doesn’t have to be 11km, 12km per match, it can be 7km, 8km, 9km, where he can still score two goals and live off moments. “Since he’s gone to Real Madrid he’s contributed enormously to everything they’ve done but he’s living more off moments rather than a contribution through a whole 90 minutes. He’ll be thinking Pele. Those numbers. Those scandalous numbers you think you can never achieve, the appearances, the goals, and that to me is where it’s going. 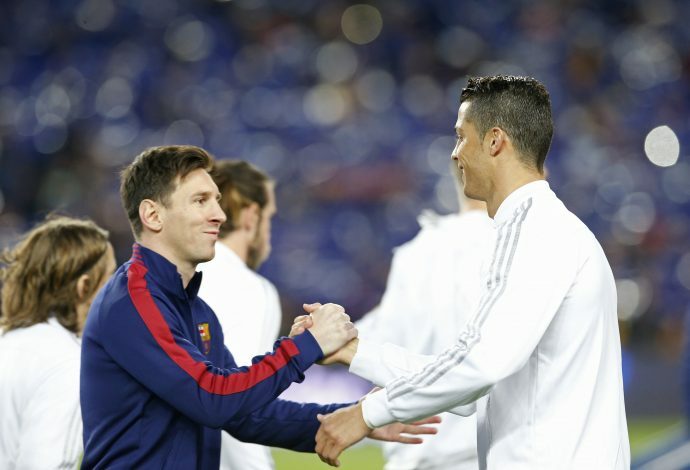 Meanwhile, the two superstars are all set to face each other in the El Clasico on Sunday, and it remains to be seen as to who bags the bragging rights this season.